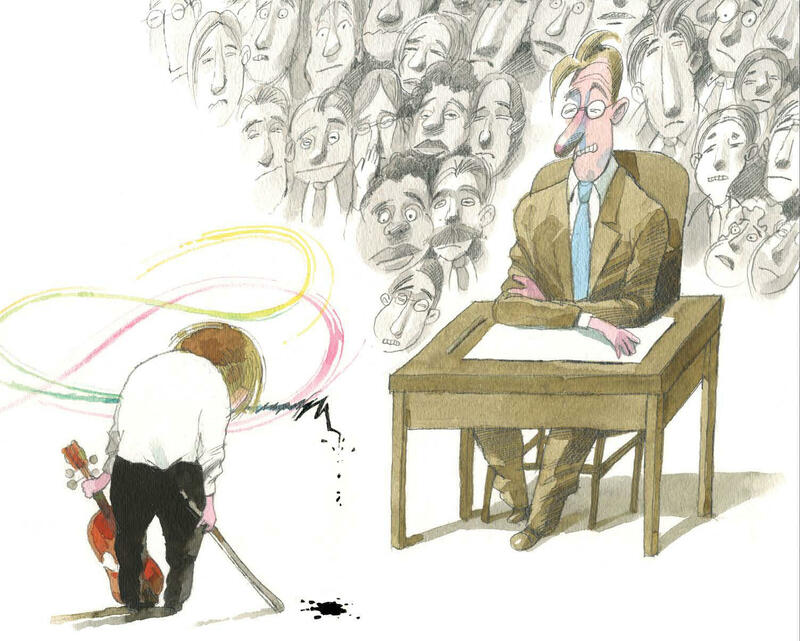 With Joshua Bell’s permission, Stinson ended up writing a children’s book about the subway experiment called The Man With The Violin. The book went on to win several awards and even became a short animated film backed by a live orchestra. Now Stinson has come out with another book on the violinist and Indiana native, called The Dance of the Violin. Joshua shows his instructor the complex piece of music he wants to learn in the children's book The Dance of the Violin. Stinson says she liked the story, but she didn’t want to beat readers over the head with the story’s message. Instead she says she tried to have the readers experience the competition along with Bell. “A 12-year-old Joshua Bell, for example, wouldn’t be experiencing something in a way that becomes like a lesson for kids,” says Stinson. Stinson also used a few classical phrases that she thinks Bell would have known at that age - like prestissimo and adagio. 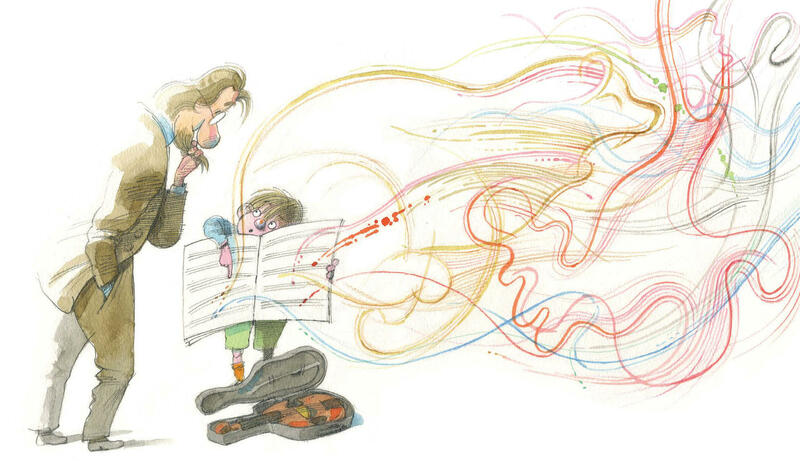 “Words that sound neat and give the story authenticity for the readers who know music, but aren’t so technical that a child or reader who doesn’t know music won’t get from the context what’s going on, what it’s about,” she says. Bell says despite his mistake, he ended up winning third prize. “The next year I came back and I won the first prize and came and played with the Kalamazoo Symphony as part of the prize after that," he says. Kathy Stinson’s book The Dance of the Violin came out last month. Coughing - the bane of the live, classical recording. No matter what you do, if you pack hundreds of people into a quiet room - someone is bound to cough.